Tuesday Thingers - Do You Have Glue? This week we are exploring something totally different and un-Library Thing - we're looking at Glue! I first heard about Get Glue when a bloggy friend won a Kindle 2 from one of their contests! The topic then came up again at the recent Seattle blogger get-together. SO. . . I decided that maybe this whole Glue thing deserved a little attention. Developed by AdaptiveBlue, Glue enables you to connect with your friends on the web around the things you visit online. Glue is powered by semantic recognition technology that automatically identifies books, music, movies, wines, stocks, movie stars, recording artists, and more. Glue works hard to make it easy for you to find out what your friends think about things you're visiting online. SO . . . on top of helping you find great books, movies, etc, you can also follow Get Glue on Twitter and play their games to win great weekly prizes. :) If you read some of their recent posts, you will probably find some familiar names winning some of those prizes! Questions: Have you gotten Glue yet? If so, how do you like it? Do you follow Glue Genie on Twitter? Won anything in their quizzes? My answer....I heard of Glue, but I never checked it out before. I just went over to their website and it looks interesting, but I'm afraid I'll get addicted. LOL I'm online way too much as it is. 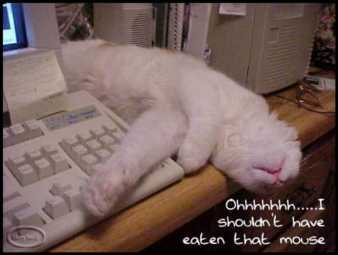 Although I Twitter, I don't even do that very often. I prefer spending any online time I have blogging. Actually, I should be spending all my time reading...my TBR is growing and I've become addicted to online games now. So, I doubt I'll be joining Glue - there's just not enough hours in a day. Makeup artist, Bella Shaughnessy, is devastated and hurt when her half-sister ends up having an affair with her husband. Sure they were separated at the time, but sisters don’t do that. Unfortunately, she still has to see her sister since they work together for their father’s salon business. To top it all off, her sister is still with Bella’s now ex-husband and goes to all the family functions with him. Prepared to spend the rest of her life on her own, Bella gets stuck dog sitting for one of her clients. Bella hates dogs, but it isn’t long before she falls in love with the dog and goes to great lengths to disguise it so she could keep the dog for herself. Bella doesn’t feel bad about this since the client wasn’t very nice to the dog anyway. Then, Bella meets the handsome Sean Ryan. An entrepreneur who helps Bella start her own makeup business. As hard as she tries to distance herself from him, she finds herself attracted to Sean, but then her ex-husband comes back into her life to complicate things even further. I listened to the audio version of this on the way to and from work. It made for quite a fun diversion. It would also make for a nice beach read. The characters are funny – some loveable, some not so loveable. It’s a quick read that will make you smile and I think we can all use a smile every now and again. I'm extremely happy with my reading. I'm up to 53 books, so I'm halfway to 100. I haven't read 100 books in one year in a very long time. I may not make it this year either, but I do have a good start to meet that goal. As for good books this year...they are all listed in my sidebar under "Great Book Alert - 2009". Those are the ones I've read this year that I really loved them most. How are all of you doing this year? Here's to a great second half of 2009 for everyone! If you'd like to play along on Musing Mondays, just click the button at the top of this post. If you'd like to participate in Mailbox Mondays, just click the button at the top of this post. Sunday Salon - De-Stressing with Chick Lit! This was certainly a sad week from start to finish...we began the week losing Ed McMahon and ended it with losing Farrah Fawcett and Michael Jackson. Three Hollywood icons. Of course Michael Jackson's being the most shocking and unexpected. Very sad indeed. 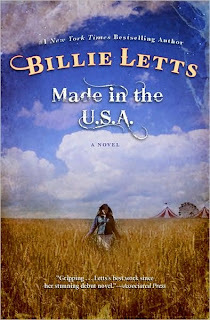 As for me and reading this week...I finished "Made in the USA" by Billie Letts and, as I wrote in my review, I loved it. I have to look over this author's backlist as she's one I never read before. Then I read a non-fiction book "A Worthy Legacy" by Tomi Akinyanmi. This is a very touching, sweet story. I'm going to be hosting a blog tour on July 14th and will post my review then. Do any of you have a particular genre you turn to when "real" life gets you down? I'm running two book giveaways through July 24th. One is for the audio version of Swimsuit by James Patterson and the other is for Off Season by Anne Rivers Siddon. Both look great. If you'd like to win one or both of these, just click the covers in the sidebars. If you'd like to participate in The Sunday Salon, just click the button at the top of this post. This is the captivating tale of a brother and sister. Two kids with nothing left in the world except an old Pontiac, dreams and each other. This is the story of Fate and Lutie McFee. Fate and Lutie live in the small town of Spearfish, South Dakota with their father’s 300 pound girlfriend, Floy. Their father hasn’t been seen or heard from in years. They depend on Floy for everything. One day, at the cashier’s counter of a local Wal-Mart, Floy collapses and dies on the spot. Fifteen year old Lutie has to think quickly to avoid the state putting them in foster care. She chooses to take her eleven year old brother and run. They steal Floy’s Pontiac from the store’s parking lot and take off for their father’s last known address, Las Vegas. Things aren’t as easy as they thought it would be when they can’t find their father and are unable to even afford a decent meal. They live in their car and get their meals free from the Salvation Army, but Lutie is determined to provide them with more than that. She makes major life-altering decisions that will change their lives forever – and not necessarily for the good. “Made in the U.S.A.” will tug at your heartstrings. Lutie and Fate will make their way to your hearts and never leave. I could not put this book down. It was both heartwarming and heartwrenching. This is the first book I ever read by this author and, rest assured, it will not be my last. Since this book really grabbed me from page one until the very last page, I have to award it the Socrates’ Book Review Great Book Alert medal. 1. She had a great smile and spirit, Farrah Fawcett. 2. Geiger, my kitty, is by my side, always. 3. 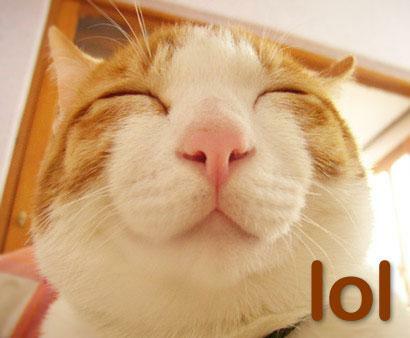 I know this: I can't wait for the weekend to start! 4. I don't want to sit still. 5. These words apply to me: a bookaholic with no end in sight. 7. And as for the weekend, tonight I'm looking forward to catching up on TV and reading, tomorrow my plans include watching movies and Sunday, I want to do grocery shopping and more reading! Thanks to Anna at Hachette Books, I have the opportunity to give away 3 audio book copies of Swimsuit by James Patterson. A heart-pounding story of fear and desire, SWIMSUIT transports listeners to a chilling new territory where the collision of beauty and murder transforms paradise into a hell of unspeakable horrors. All entries must be submitted by July 24th, midnight est. I will contact the winners by email. If I don't get a response within 3 days, another winner will be chosen. 1. Challenge runs from July 1, 2009 to June 30, 2010. Join anytime, as long as you can read the required books. 2. 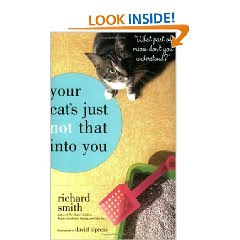 Read 12 Cat Sleuth books from at least 4 different authors. A list would be nice but not necessary and is not written in stone (or even pen). 3. Overlaps with other challenges are purrfectly acceptable. 5. You do not need your own blog to join the challenge, you can do all your challenge related posts here. Just email me (book dragons lair at gmail dot com) after you've signed-up and I'll add you to the blog. In fact, everybody can do their challenge related posts here. 6. You do not need to review your books but it would be nice. You could just post what book you read and a bit about it so we could see if we'd like to read it. I've heard from all 5 winners from The Night Gardener Book Giveaway. All winners names and addresses have been forwarded to Hachette Books. Congratulations to the winners! Thanks to all who entered! Booking through Thursday - Hot! I'm not even sure why I like summer reading so much since I don't get anymore reading time in the summer than I do the rest of the year. Maybe it just makes me feel like I'm always on vacation. LOL These three books, although I haven't read them yet - just going by titles and covers - can be read at anytime of the year and you'd feel like it was summertime. At least that's the way it appears. How about you? 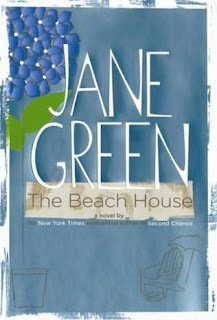 Any books that make you feel like summer? If you'd like to play along on Booking through Thursday, just click the button at the top of this post. Thanks to Valerie at Hachette Books, I am able to host another book giveaway. This one is for Off Season by Anne Rivers Siddons and it looks great! I can give away 5 copies, so that's 5 winners! Jennifer Chase is Lectures and More, Inc.’s top motivational speaker, but she suspects that the company wants more from her than just lecturing. She’s right! Her boss, Ulrich Rogers has big plans that include a mind-altering device sent through electronic devices and he intends to use Jennifer to get the message out to millions of Americans. Jennifer tries to break way, but Lectures and More is not a company someone can easily walk away from. Jennifer meets a handsome former government intelligence agent, Frank Revere, and hopes he can help her. However, he brings more questions than answers into her life. She can’t keep her thoughts from swaying in his direction, but can she really trust him? Meanwhile Frank is still in mourning over the loss of the love of his life, Sarah Darnell, but feels a mysterious closeness to Jennifer. Frank and Jennifer are lead to a vicious plot against the United States. A plot which has already left hundreds of Americans dead. It’s a race against the clock to stop anymore fatalities when they learn the U.S. isn’t the only country targeted. It becomes clear that nobody can be trusted, not even the people they work for. 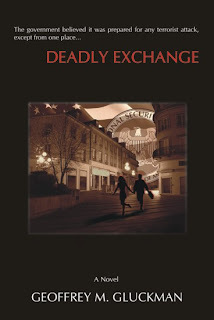 Deadly Exchange is an exciting thriller that keeps readers at the edge of their seats. This is a frightening story that leads to an explosive ending. 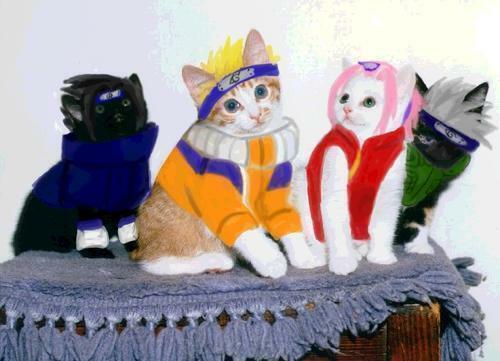 This has the makings for an excellent movie. Do you restrict yourself on how many books you take out from the library at a time? Do you borrow books if you already have some out? Do you always reborrow books you don’t get to? I don't restrict myself for anything! LOL! Seriously, I don't take out many books from the library. I take out mostly DVDs and audio books. I take out whatever I want when I see it available and hope I'm able to renew them. You can renew if there's nobody else with the items on hold. Otherwise, I end up putting alot of pressure on myself to watch or listen to everything before the deadline. Sunday Salon - Happy Father's Day! Happy Father's Day to all you dads out there! Hope this day is a very special one for you! We've been having nothing but rain these days. You'd think that would make good reading time, but I'm not reading anymore than usual. Perhaps even a little less. I never read more than one book at a time, but this week I tried to read three. I finished one, almost finished with another and still early in the third. I think I'll concentrate on just one after this. I finished "A Weaver Wedding" by Allison Leigh and it was very good. I received this from Harlequin as part of their "Tell Harlequin" panel. I enjoyed it. This book helped me to complete the Harlequin/Silhouette Reading challenge. I, also, finished listening to Plain Truth by Jodi Picoult, which I really liked. I'm definitely going to be reading more from Picoult. I've already read her My Sister's Keeper and I have a couple of others in my TBR. I'm hoping to finish Deadly Exchange by Geoffrey M. Gluckman. This is a very intriguing book with quite a bit of action. Then I'll concentrate on finishing up Bella by J Lou McCartney. This is a sequel to her DeMarco Empire book. Actually, I believe it's a prequel to that book. From what I read so far, it's very good. I loved the DeMarco Empire, so I'm sure I'll enjoy this one. I also had a chance to watch a couple of movies this week - that's what rain will do for you :) I saw Yes Man with Jim Carrey. I haven't seen a Jim Carrey movie in ages and this was cute. Today I saw The Wrestler with Mickey Rourke. What an excellent movie and a great comeback to the acting world by Rourke. Very well done! That just about wraps up my week in a nutshell. Hope you all have a great week. Happy Reading! If you'd like to play along on The Sunday Salon, just click the button at the top of this post. I loved this challenge last year and I'm definitely signing up for it again. 3. Challenge runs from July 1, 2009 to February 28, 2010. That’s 8 months to read at least 6 books (you can read more if you’d like). You can still sign up after July 1st as long as you can get 6 books read by February 28th ;o). If you'd like to sign up go to Passion for the Page and signup! Tara Browning happily agrees to meet her twin brother at a local bar. She hasn’t seen him in years and this was their mutual birthday. What better way to spend their birthday then to have a much anticipated family reunion? However, that reunion isn’t meant to be when her brother stands her up. She’s left alone in the bar, drowning her sorrows in margaritas when a member of Weaver’s premier families, the Clays, offers to buy her next drink. Axel Clay does more than buy the beautiful Tara a birthday drink, but he spends the weekend making this birthday one that she won’t soon forget. Tara doesn’t forget a thing about the weekend and is left with a little souvenir – one that will make its presence known in nine months. Tara hasn’t heard from Axel since that weekend and realizes she was nothing more than a one-night stand for him. She decides to keep the news of their child to herself and raise the baby on her own. The next time Axel appears in Tara’s life, it’s to be her bodyguard. Her missing brother has gotten into some mysterious trouble which has endangered Tara’s life. Axel is hired to protect her, but Tara is more concerned about protecting her own secret. She wonders how long she can continue keeping her pregnancy to herself with Axel watching her every move. The book is part of a continuity series by Allison Leigh, The Men of the Double-C Ranch. There are several books that come before this one in the series, but I haven’t read those. Apparently there is a mystery theme that runs through them. I already found them on Paperback Swap and plan to get caught up with the Clays. It’s a sweet romance which can be read in one sitting. The characters are likeable, although I’m not big on heroines keeping their pregnancy a secret from the father-to-be, but this was handled well. 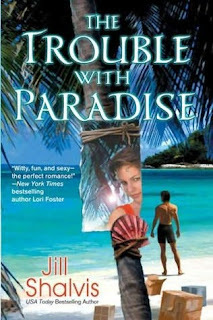 The story was intriguing and reminded me that I love Harlequin and Silhouette books that feature families. I haven’t read on in awhile. It was fun to read this one. The Night Gardener book giveaway is now closed. Using the handy dandy Random List Organizer, five winners were chosen. I've already sent emails to the winners. As soon as all five respond, I will post them. I need to hear from the five winners by Monday or I will pick alternatives. One of my favorite sci-fi authors (Sharon Lee) has declared June 23rd Fantasy and Science Fiction Writers Day. So! In my Official Capacity as a writer of science fiction and fantasy, I hereby proclaim June 23 Science Fiction and Fantasy Writers Day! A day of celebration and wonder! A day for all of us readers of science fiction and fantasy to reach out and say thank you to our favorite writers. 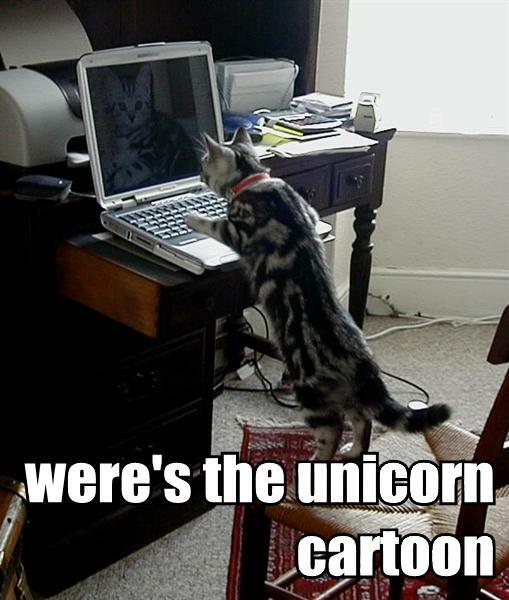 A day, perhaps, to blog about our favorite sf/f writers. A day to reflect upon how written science fiction and fantasy has changed your life. I don't read much fantasy and science fiction, but I do read it. Mainly I read Star Trek novels, some paranormal, vampires, time travel. I try to mix everything up a bit. I doubt I'll be doing any celebration on the 23rd. Just reading like usual... whatever is next on my schedule. 2. Sign up using Mr. Linky. Put your name in the top box. For the bottom box, please use the URL that links specifically to your blog post about this challenge, not to your blog's home page. Beth Fish Reads is the one hosting this challenge. An 18 year old unmarried Amish woman, Katie Fisher, is accused of smothering her infant right after his birth. However, Katie denies the crime. In fact, she denies that she was ever pregnant. All the medical evidence points to her having a child, but Katie continues to deny it. Attorney Ellie Hathaway is intrigued by this case and, at the same time, disgusted that a mother could kill her child. She wonders how she can defend this young woman of such a hideous crime, but Katie grabs Ellie’s heart and the lawyer is convinced she didn’t commit this evil act and she intends to prove it. First, she must get Katie to admit she was pregnant in the first place. Katie is placed under Ellie’s guardianship which means Ellie has to live on the Fisher’s Amish farm. She becomes immersed in their way of life. Proving Katie’s innocence is more difficult than Ellie thought it would be as Katie strictly adheres to the Amish belief that she confess to the crime, even if she didn’t do it. It’s an uphill battle that Ellie vows to win. I listened to the audio version of this and was totally captivated by this story. The storyline moved along at a fast pace. It had everything from romance to drama to betrayal to mystery. Ms. Picoult gives us a good taste of the Amish way of life. The reader feels as if they are right in the middle of it all. The characters are realistic and readers will come to care about them. 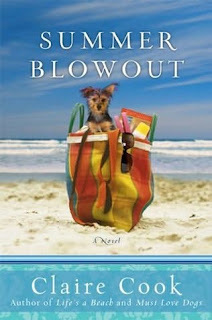 I will definitely be adding Ms. Picoult to one of those “must read” authors. If you'd like to play along on Tuesday Thingers, just click the button above. You can now add books to different collections and then view just those collections! Some of the pre-designed collections include: Wishlist, Currently Reading, To Read, Read But Unowned, and Favorites. Then of course you can add your own collections too! To begin classifying your books, go to your book shelf and you will see a little brown briefcase/box type icon on the right hand side. Simply click that and choose one of the collections! Questions: Have you explored the new Collections feature? Do you plan to use the new Collections? Are you going to add any special collections? If so, what are they? My Answer - I didn't know about this, but it's a great idea. If I have some time to organize my books, I will certainly take advantage of it. That's the problem them, not enough time to do everything I would like to, but I do think this is a wonderful tool to have on LT.
Socrates' Book Review is now hosting our first Blog Tour. The book is the first in an exciting new series by DCS. The series is Synarchy and the first book is "The Awakening". The year is 2012 and Marcello Terenzio is dying. With his dying breath he sends his three grandchildren on a journey. A journey to continue a plan his ancestors began centuries ago. As the grandchildren follow their destiny, they are shocked at the secrets they uncover. The triplets quickly learn that all is not how it seems. As the world gets closer to December 21st, 2012, the world – as we know it – may cease to exist. The battle lines are drawn as families are pitted against each other. The triplets are no longer sure of their own identity or who they can trust. This book has it all – family loyalty, betrayal, romance and a plot so sinister, it’s scary. It’s hard to believe that 2012 is right around the corner and this book makes you stop and think of the possibilities. The Awakening is the first book in the new Synarchy series and what a series this promises to be! It makes me think of The Godfather meets Star Trek – two great movie series rolled into one! The characters are well written and the storyline is well thought out. Reading this book is a thrill a minute, like being on a roller coaster for a few hours. ! It’s exciting and readers will not want to put this one down. Give it a try! This weekend I decided to do a bit of reorganizing my TBR room. The books are stacked in such a haphazard way, I was afraid they would all come tumbling down. Especially scary considering this is the room Socrates likes to hide in when we get thunder, lightening and fireworks...all of which we had this week. He escaped unharmed, but I've been meaning to reorganize anyway and figured I'd give it a try. Since I have no more bins to store books in, I should concentrate on reading. I'll get more bins when they go on sale again. I just started reading Deadly Exchange by Geoffrey M. Gluckman. This is a spy/ thriller type and I'm doing it for a review. So far, so good. On Monday, my Blog Tour for Synarchy: The Awakening by DCS begins. I will post a review of it on Monday. Interesting book. My book giveaway for "The Night Gardener" by George Pelecanos is still going on. It ends on Friday, the 19th. So you still have a chance to enter. Just click on the cover in the sidebar. Rebecca Bloomwood is head over heels in debt! It’s not really her fault. She needs nice things, doesn’t she? How is she supposed to survive in the business world if she doesn’t have the best clothes and live in the nicest places? Problem is, her job as a writer at Successful Savings doesn’t pay her enough. To make matters worse, the job bores her to tears. Shopping is a stress reliever, it makes her feel good. Unfortunately, her VISA card is now maxed out. The bank’s threatening letters continue, but Rebecca has become a master at avoiding them as well as avoiding the threatening collection phone calls. She tries to cut back on the amount she spends, but only succeeds in doubling her debt. Rebecca finds the perfect second job at a local boutique but she is more interested in their merchandise than their clients. She finally finds something that she can sink her teeth into, get public attention and make a name for herself in the financial world. She prays this will kick off a brand new career but what will this opportunity cost her? 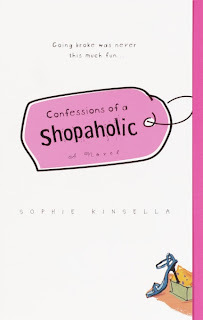 Sophie Kinsella creates an hysterical look at a young woman who easily finds herself owing large amounts of money without even realizing she’s doing it. The book shows how quickly this can happen and at the same time give us something to laugh about. This book is fast-paced and a real “feel good” story. Rebecca is a fun character. She can be a bit immature at times, but also has qualities many can identify with. Readers will find themselves cheering for her and hoping a happy ending will be in her future. This was the perfect book to read and help me through a stressful week at work. I loved every minute of it and look forward to reading the rest of the series. Any book that can help me through a stressful work week deserves the Socrates’ Great Book Alert Award! 1. I grew up thinking I was going to be rich. 2. Facebook was the last website I was at before coming here. 3. Why don't you relax and enjoy life? 4. Reading helps me relax. 5. Thanks for the good health reports. 6. All this rain is very off-putting. 7. And as for the weekend, tonight I'm looking forward to watching TV and reading, tomorrow my plans include watching movies and Sunday, I want to do grocery shopping and read some more! Those are the only ones that I can think of. I basically just read fiction. Sunday Salon - Reading Anxiety is Hitting Me! What did I read in May?